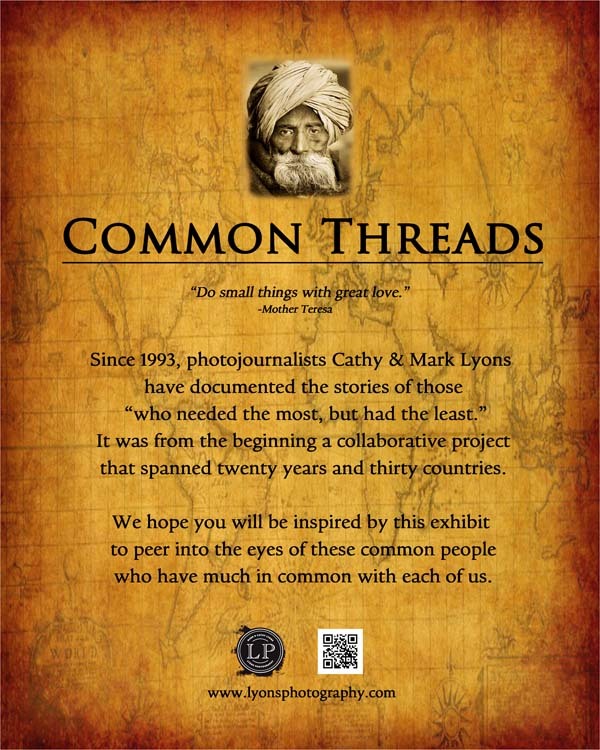 Invite to Common Threads I, an international photo exhibit at the Gallagher Student Center @ Xavier University from Sept-December 2014. 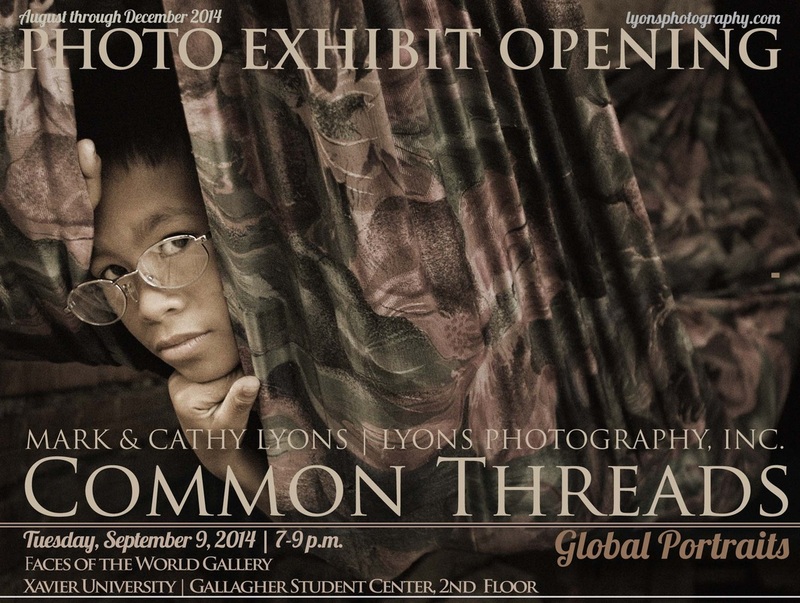 The exhibit featured 20 years of images from 30 countries around the world. Photo: Mark Lyons/Lyons Photography, Inc. 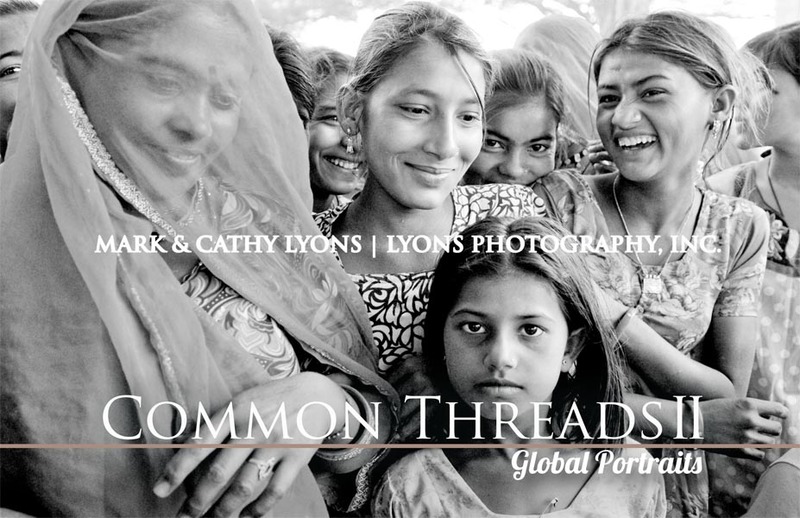 Invite to Common Threads II, an international photo exhibit at Xavier University's Cintas Center. This exhibit runs from January-May, 2015, and is free, and open to the public. Photo: Cathy Lyons/Lyons Photography, Inc.